One of the reasons my wife and I chose to live in our neighborhood was that we could WALK to something. We live within a five minute walk of an array of shops, restaurants, a grocery store and local markets. About 200 feet from the entrance to my neighborhood is a 4-way stop sign intersection. At nighttime, the intersection was pitch black. Many times, vehicle drivers only come to a rolling stop, especially at night when they don't see any bright headlights coming in the opposite direction. Otherwise, it's a mesh-mosh of vehicles playing chicken with each other, seeing who gets to go first after getting to the stop sign. It's tough enough for vehicles, let alone a poor pedestrian attempting to make the crossing. Earlier last year I spoke up about adding pedestrian safety features this intersection. I met with city staff and discussed with a couple of council members. 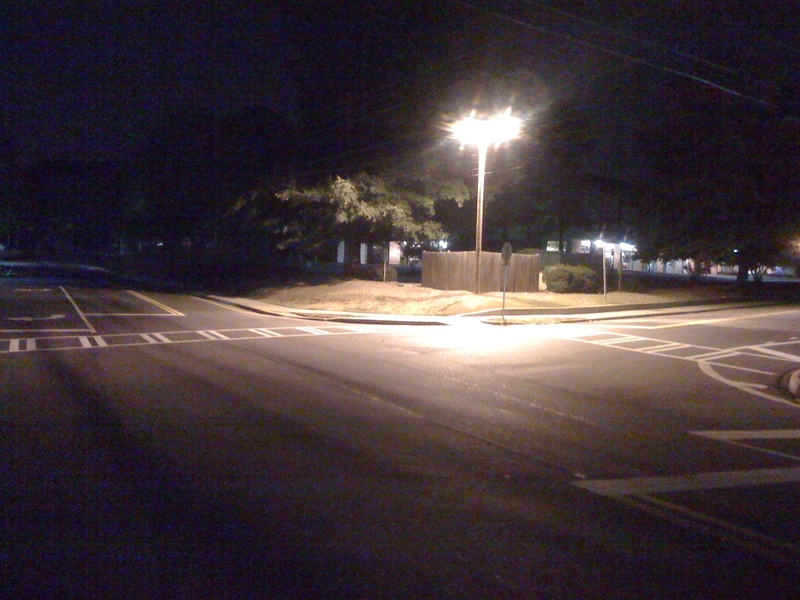 Just in the last day or two we now have a nice, well-lit illuminated intersection, thanks to the Dunwoody Public Works Department, namely the Director, Michael Smith. Mr. Smith worked over several months of following-through with Georgia Power to make this happen. Like to walk safely somewhere? Considering moving to a new neighborhood? Consider your Walk Score. Ask new developers, municipal planners, zoning and elected officials to ensure they have policies and budgets in place to support your ability to walk instead of being held hostage to a motor vehicle, stuck in the 1950's. I know there's some people that think that Atlantans won't ever leave their cars. But every day people are proving that false. We just need to keep up with concepts such as Complete Streets and continue retrofitting our communities. It's a generational initiative to be passed forward. Ask, and maybe eventually you'll receive. Just complain and not engage, and nothing will happen. So just have some patience, be reasonable and understand that you're not going to get everything you ask for all the time. But this is sure nice to see.